My word for yellow 5 is pattern. The fabric I used for Yellow 5 was given to me by my grandmother. She knew I was interested in sewing so he gave me her sewing machines, threads, and supplies last year. I thought it was suiting to go from the word “doilies” to this fabric because they both link to grandmothers for me. 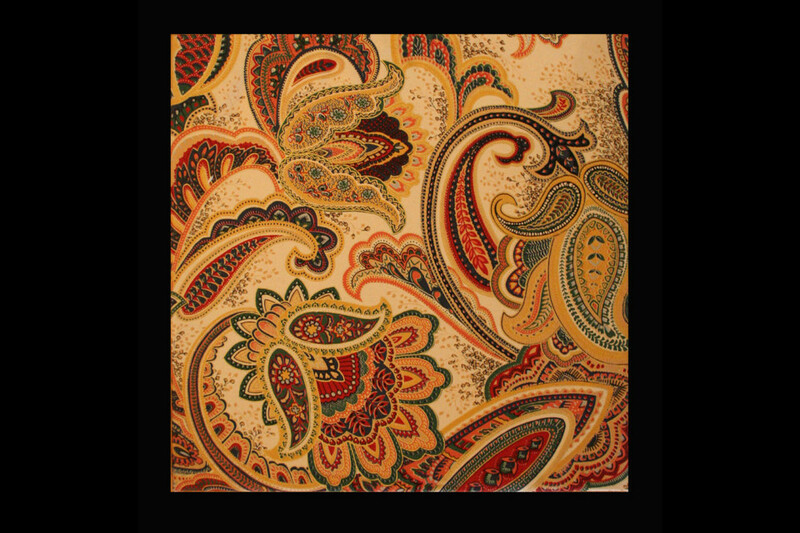 It is a beautifully detailed pattern with lots of colour. It’s funny how all of the yellow options so far have reminded me of my grandmothers. 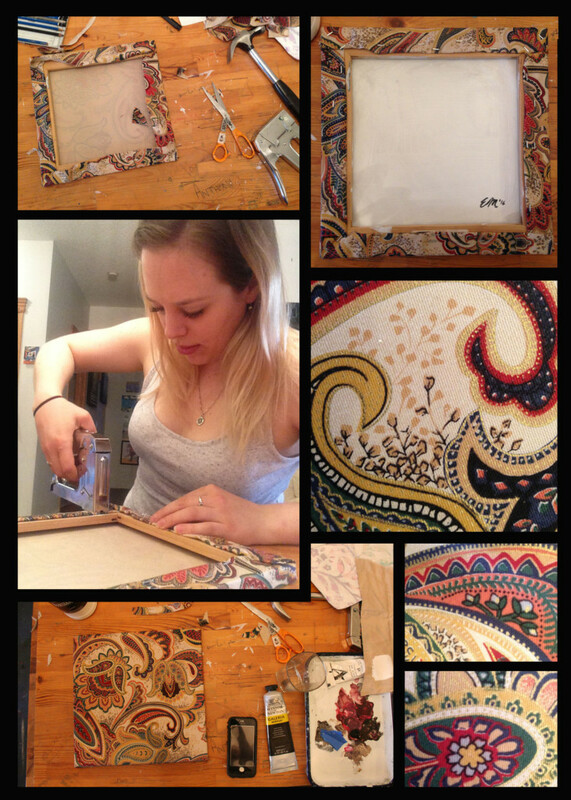 I decided to wrap the fabric around a wooden frame in the same way I would with canvas material. I wanted to elevate the fabric to a gallery level by putting it on a frame. I painted the back of the fabric with gesso to make the fabric a bit stronger. I left the fabric untouched as there is a lot going on already with the pattern and colours and I didn’t want to influence what Daria does next.